One chicken breast, one egg, bread crumbs, marinara sauce, mozzarella cheese, spaghetti. These are some of the ingredients for your delicious chicken parmesan dish. FICA tip credit, DOL overtime rule, employee tracking, seasonal hires. These are some of the ingredients for a functioning restaurant and payroll system. See the difference? You stick to the chicken parm. We’ll handle your payroll and HCM. 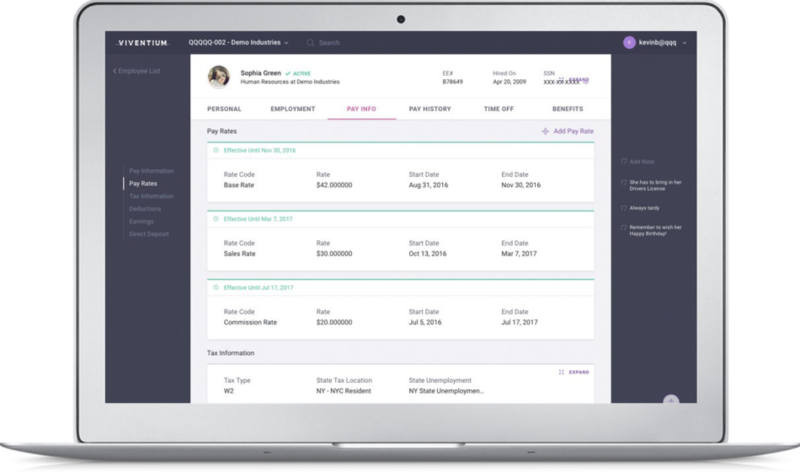 Allow your employees access to view their paystubs, request time off, and more, at any of your locations. We have been with Viventium for three years now, and their service has been consistently excellent. Viventium sends us weekly, monthly, and quarterly reports that build data for our accounting department while allowing us to focus on the day to day of our business.